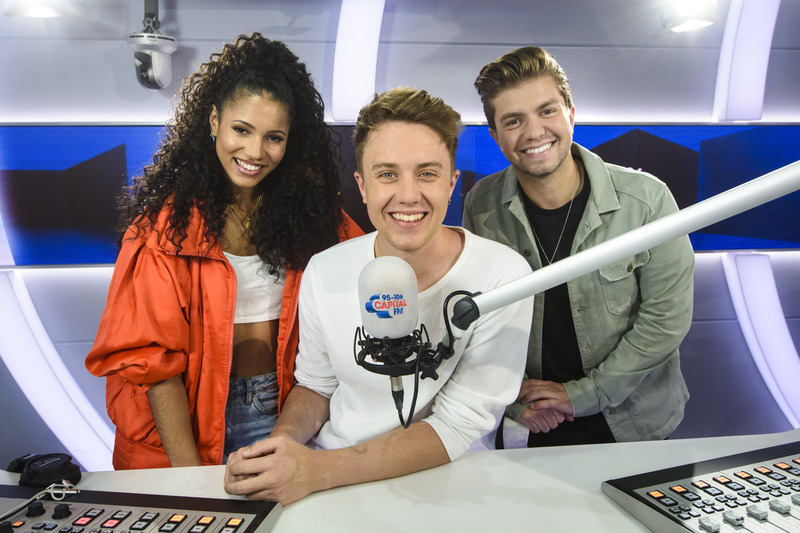 From 8 April Capital Breakfast with Roman Kemp will be broadcast across the UK. That’s right: Roman, Sonny and Vick will be bringing the biggest stars in the world to you from six until 10 in the morning. We’re just glad our day doesn’t start that early. We spoke to Roman, Sonny and Vick about their number one show and what Scotland can expect. Are you excited for the show to go national? Roman: Really excited. I think this is something that will bring the whole of the UK a sense of togetherness. We love bringing big voices on to the show and the listeners are the most key part of Capital Breakfast. We do a thing every day or in the week where a listener does the voiceover over the line or they can come in to the show, they introduce the whole show for us and different segments, it’s so nice to have those voices as not just London voices. We’re getting a lot of questions that are like are we still going to hear Yorkshire voices? Are we still going to hear Scottish voices? The answer is yes of course because the listener is the most key part of it and if someone has a story to tell or a dating issue then please get in touch. Vick: I am so excited for our text machine to go national. Roman: It’s so nice to be able to bring guests and the calibre of guests that we’ve been fortunate enough to have on our show currently and put them nationally. Not just nationally, with the app now its internationally; like, oh someone’s showing off and will say “I’m listening in from Dubai right now.” Its bringing those artists and big big features, which are some of the most silly and ridiculous things that make us laugh and laugh in the mornings, to be able to broadcast that to the rest of the UK is really special. Sonny: We do so much in London, we’re constantly doing stuff here, there and whatever. It’s exciting to be able to do it and come up here and do something that’s ridiculous, you know. There’s so much room for activities, we can do so much. How will you keep things local when you’re broadcasting to the whole country? Vick: I think when we do radio, we always say you want to feel like you’re talking at once to everyone, and also one person so it feels personal. On one hand we’re able to bring our show and guests and make it really big, but also we’re able to hone in in a way that we weren’t before. When we have Lewis Capaldi on the show we can talk about Scotland, when we have James Arthur or Cheryl on the show we can talk about Newcastle, and actually we could become more local than we’ve ever been, but, also bigger than we’ve ever been. If done correctly then that can be a really brilliant way of bringing people together. Roman: There’s no doubt it’s a challenge, people’s favourite presenters will be changing and we won’t take that lightly whether its criticism or constructive criticism or anything: it’s something that we take seriously and we want to make a show that everyone wants to listen to and not feel like its centralised from London and that’s all we are, because it isn’t. We’ve all had experiences with broadcasting to the nation and before this I did pretty much every other show on that time frame and that included a Capital England show that did get voices from everywhere, its nice to just revert back to that thing and step outside of London and speak to people in Scotland and everywhere else as well. We always want to take those small moments and make them as big as possible, that may include making someone the most talked about person in the UK that week or making a listener famous for the day and even recently we did the Vans challenge. We thought that’s cool and put the call out and people were donating a cherry picker, a disused car part, we had 70 pairs of Vans we were lent from listeners that all made their way back, we dropped them from 120 feet, and we’re doing all that in London. It’s nice to be able to take that and drop them from Ben Nevis, that’s all we want to do: drop Vans from Ben Nevis. Sonny: That would be the peak wouldn’t it. Roman: I think a sense of community is the most important thing, it’s not like our people and country is London, we’re part of the United Kingdom and I think that’s important to everyone who lives here. We hear you’ve been texting Lewis Capaldi to prepare for coming to Scotland? Roman: We’ve figured out a really good way for when we get Lewis on the show to delay it ever so slightly, so that anything he does say that we can’t play out on the radio in the mornings we have a button. Listen, he’s a fantastic artist and we want to bring the biggest superstars on the planet and it happens that that’s him, he’s this guy that everyone is enjoying so much from a place like Glasgow and someone we want to support. It’s not just London artists we support; its artists throughout the UK and he is key to that, but it was nice to have a message off him the other day. Sonny: He’s going to get us in a lot of trouble that boy. Vick: That’s good, I love trouble. 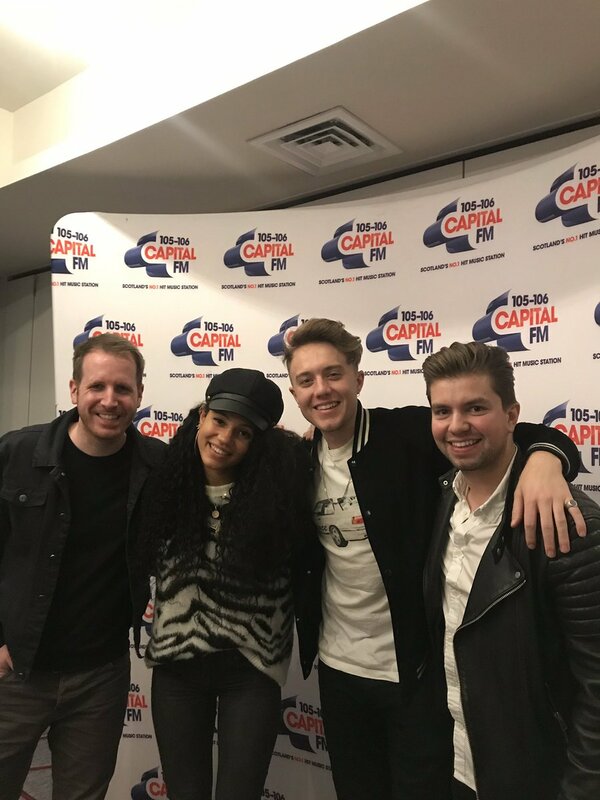 Will you be listening to Capital Breakfast when you wake up? Let us know on Twitter and Instagram.